Round 1 had a vivid competition with in the end 74 submissions that were (believed to be) the best at time of submitting. 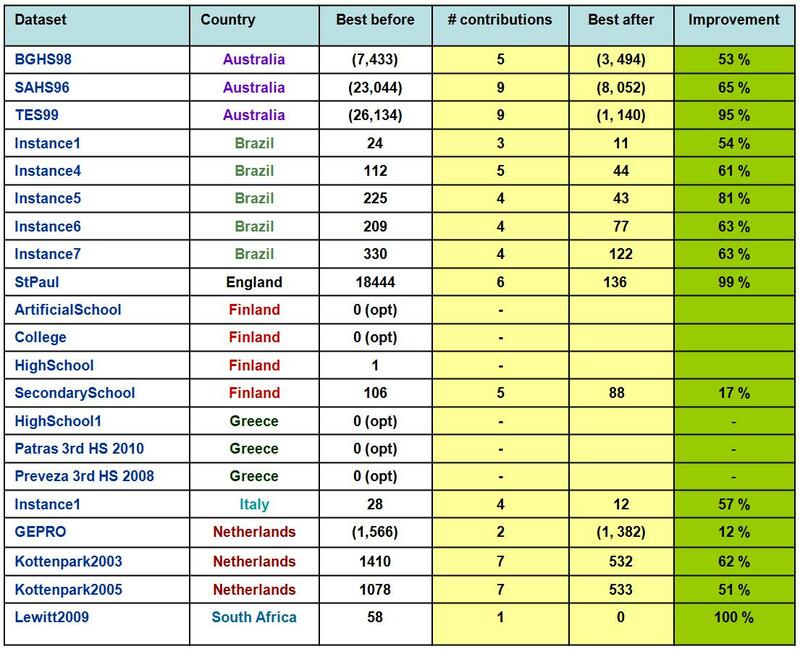 It led to significant improvements in 15 out of the 21 datasets in XHSTT-2012. The final submitted solutions can be downloaded in zipped format: XHSTT-2012_BestSolutions-Round1-ITC2011.zip. 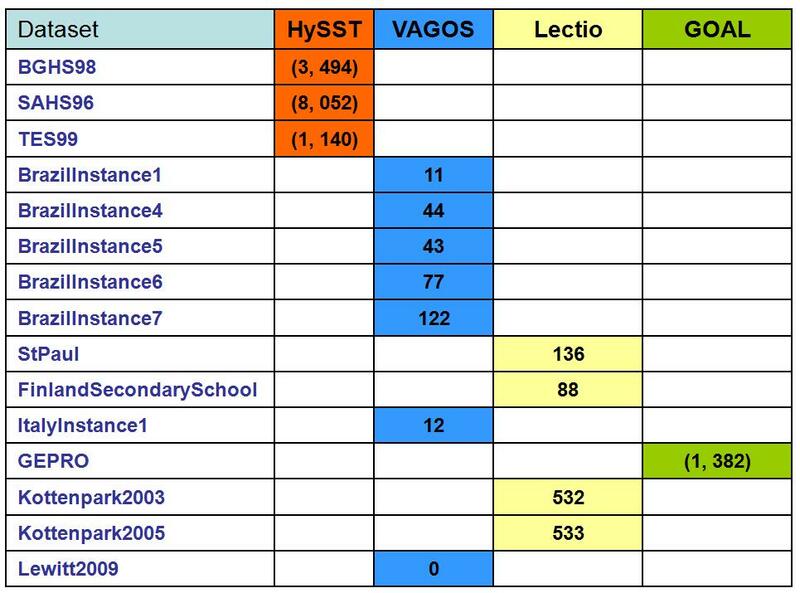 The winners are VAGOS (7 instances), Lectio (4 instances), HySST (3 instances), and GOAL (1 instance). The results are summerized in the tables below; the first table gives the relative improvement (where infeasible cost is counted as 1000 objective cost).